Hello Sandwich workshop at Tsutaya T-site Daikanyama! I'm back from Europe! OMG I have sooooooooo many pics to show you! You might have seen some over at my instagram account, but there are so many more to come. The new Fujifilm X100T was INCREDIBLE. And the trip was, like the Antwerp trip, life changing. But! 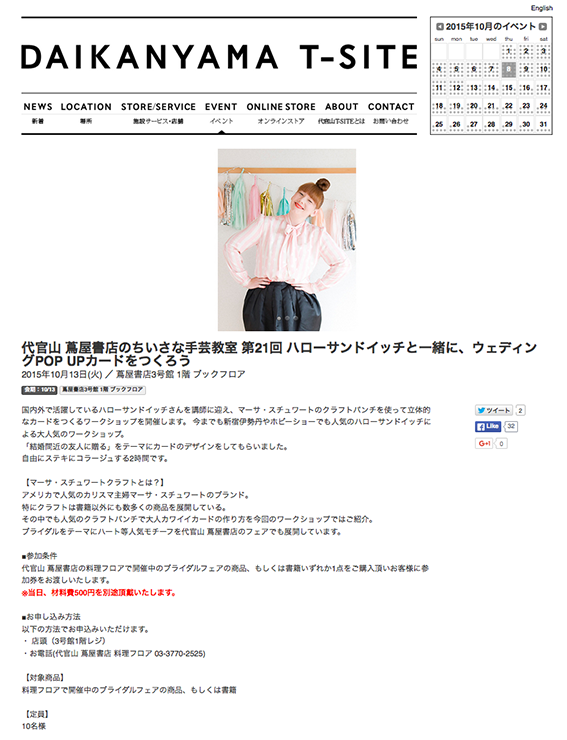 For now, I wanted to let you know that I'll be hosting a workshop atDaikanyama's Tsutaya T-site on 13th October. Please come along y'all!